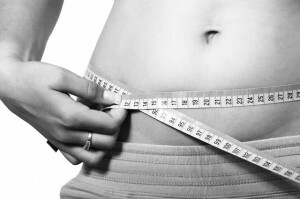 Dieting: Weight Loss Tool or Social Trend? In today’s society, it is easy for us to assume that “going on a diet” is the cure for weight gain and can make you look and feel better. However, this is not necessarily the case. In order to further evaluate this generalization, Dr. Mark Eisenberg of Jewish General Hospital/McGill University in Montreal, Canada conducted a study with his colleagues. He did this by studying the results of the four most advertised and popular diets, Atkins, South Beach, Weight Watchers, and the Zone. This study involved the interpretation of data collected from populations that successfully initiated the diet. Those on the Weight Watchers diet lost an average of 6.6 pounds, those on the Atkins diet lost an average of 4.6 to 10.3 pounds, and those on the Zone diet lost an average of 3.5 to 7 pounds. Similarly, people with nutritional guidance or counseling lost about 4.85 pounds. However, in all four situations, the population gained back much of the weight between one and 5 years after beginning the diet. In addition, these types of ways of life didn’t necessarily improve ones health, showing constant rates of cholesterol, blood pressure, and blood sugar levels across the board. Inventors of diets such as the Zone and Weight Watchers defend their products as a “way of life” that people must stick with. However, additional opinions, including that of Linda Van Horn, an American Heart Association spokesperson, believe in the power of advertisements and social popularity that promotes the diets, not the promised results. This article is interesting because is defies the commonly accepted myth of dieting, and how it can regress ones progress. Instead, it teaches us that moderation and healthy choices are key, rather than limiting oneself. Interesting article, Gherloniapparatus! It’s always fascinating to see articles that can look further into these media-promoted dieting programs. I agree with this article because I feel that these dieting programs don’t really improve the lives of people. I think it’s important for people to make sure that they are happy and healthy, not just skinnier like those dieting programs promise them to become.